Local Mexican Guavas grown in the Silverlake neighborhood of Los Angeles. Oh Los Angeles, you are a big beautiful complicated place. Your staggering beauty and endless summers juxtaposed with traffic, homelessness and broken dreams. We are a town of contradiction, where happiness can come from unexpected places. From out of the massive concrete grid a craggy little fruit tree fights its way towards the sun and delivers a bounty of perfect guavas each year. How is this possible? 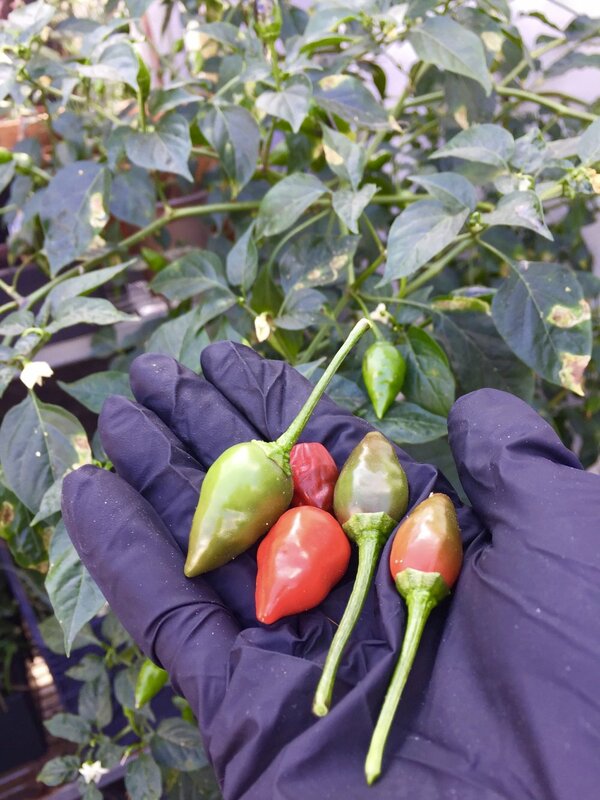 The endless sunshine and temperate climate seem to be the perfect place to grow these little gems. Originally from Mexico, Guavas are a strongly scented tropical fruit filled with edible seeds and a bright pink flesh. Guavas are packed with Vitamin C, approximately four times more than an orange. They are versatile and can be used in savory and sweet recipes or enjoyed raw. In an effort to honor our giving tree, we grabbed a basket and harvested the fragrant little golden globes and got to work. 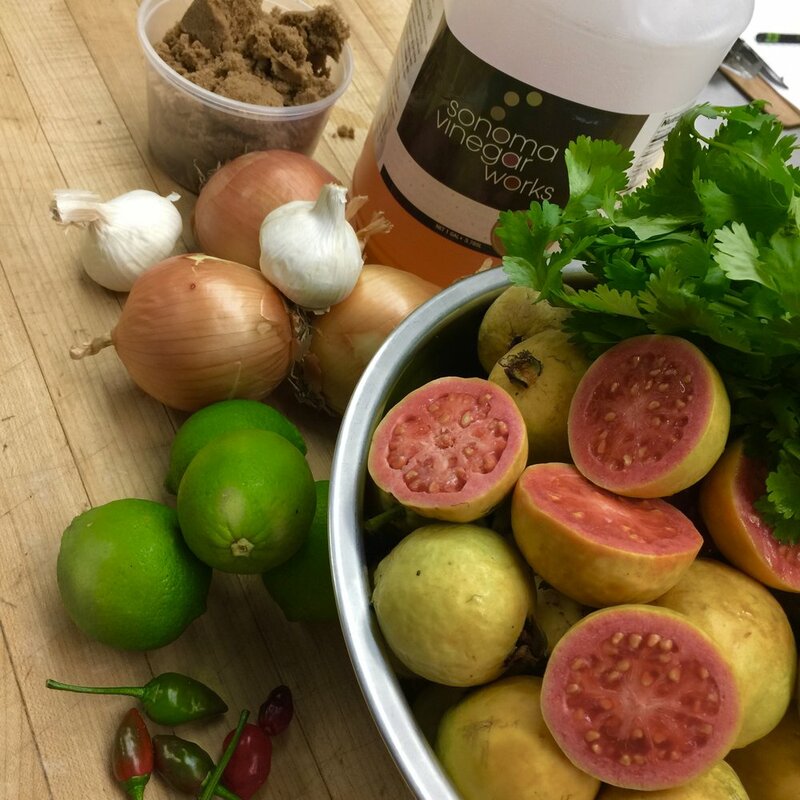 We have made amazing Guava Jam before and used it for many preparations like: Guava infused Vodka for cocktails, Guava Pate de Fruit and Guava vinaigrettes etc... We wanted to try something new and created a Guava BBQ sauce worthy of this awesome fruit. If you are lucky enough to have a guava tree or know someone with one, give this recipe a try. If you do not have access to guavas, you will have to come to our fantastic city for a visit. If you cannot do either, ripe stone fruit could be used instead. Loose chop Guavas place in 8 Cups of water cook until soft approximately 30 minutes on medium heat. Guavas can be easily turned into a puree with Cuisinart Stick Blender, just remove from heat and cool slightly. Strain guava puree through a fine mesh strainer to remove seeds and stems. In large pot heat EVO, add Garlic, Onions, Chilis, Coriander, Cinnamon, Ginger and sweat until translucent. Deglaze with Cider Vinegar, Soy, Worcestershire and Lime Juice. Add Cilantro, Guava Puree, Sugar and Lime Zest. Cook on medium heat for approximately 1 hour until the right BBQ sauce consistency. The cooking may take longer or shorter depending on the water content of the guavas. Cool completely and place in jars. You can properly can the sauce using canning guidelines provided by the National Center for Home Food Preservation. We made Smoked Pulled Pork and added the Guava BBQ Sauce to it for fantastic tacos. with Tortilla Chips, you will not be disappointed.